This is a great night called Acoustic Eclectic, which we've played at a few times. It's at Q Inn in Stalybridge and is run by Jon Orpheus; there's always an appreciative crowd there. 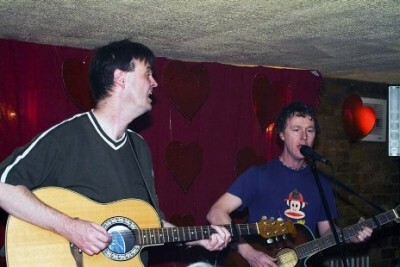 Note the single mic which Wayne used - my backing vocals are so loud I got away with not using one!